Many people have memories of old fashioned pressure cookers that were a danger for their ability to blow up from excess pressure. They have come a long way and it’s time for your to explore pressure cooker cooking as a way to prepare healthy fresh foods inexpensively. Your food will be more tasty and you will cook with way less fat. 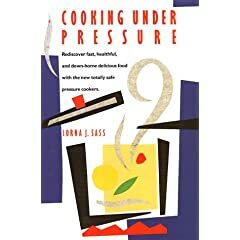 My dear neighbor Mary gave me the courage to begin to use my pressure cooker by lending me Lorna Sass‘s book COOKING UNDER PRESSURE. It’s a great cookbook and gave me the courage to just move ahead into this great method of cooking good foods quickly. Once you’ve made risotto using her method you may never make it another way. I have bought several friends pressure cookers including a friend in Chicago that refers to it as his TNT pot. He is a convert but I always give the book with the pot. You can find a FAGOR brand pot and that’s what I’d recommend. Be sure to get at least a six quart size or larger. These colorful illustrations of information fascinate me. This chart from the Guardian is another great example of an artistic way to get a message across. 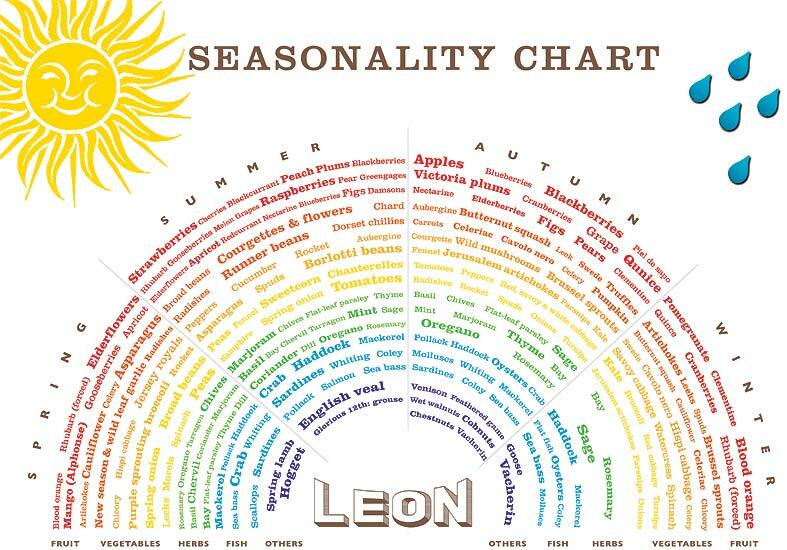 Eating with the seasons is a commitment to the environment and it begins with awareness. Slate has an article on-line call Sustainable Salads, by Brendan Borrell, that details which fruits and vegetable have the most modest environmental footprint. It’s a wise choice to shop where you can determine the origin of the produce you purchase and to keep in mind how far it has come to get to your plate. Here’s a way to watch Elizabeth Warren’s appearance on the Bill Maher Show. Truly an American hero, Ms. Warren (the chair of the Congressional Oversight Panel for TARP) is advocating for ordinary Americans and trying to bring to our attention the huge lobbying effort put forth by the financial industry. Bravo again Ms. Warren. I love the way she blushes when Bill is praising Obama for appointing smart people like her to his team, worth a watch just for this little interaction. Winter is a good time to catch up on listening to podcasts and radio programs while you work or exercise or are at home on a cold evening. These can be listened to on your computer or downloaded onto an mp3 player to listen to on the go. If your car is old enough it may have a tape player meaning that you can get one of those inexpensive cassette tape adapters and plug your ipod right into the car’s audio system. Author David McCullough was interviewed on KUER radio program Radio West and it was so interesting that I listened to it twice and encouraged my friends all to listen too. He talks about his career as an historian but speaks most poignantly about his reading life and the books that have influenced him. One friend said it was important for all parents and grandparents to listen to. You will want to read one of his many books after listening to this excellent interview. Two books that are written by Pacific Northwest residents are featured on the local NPR station KUOW. 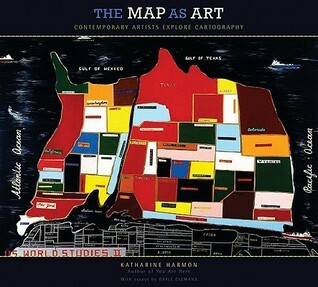 Map as Art edited by Katherine (Kitty) Harmon and published by Princeton Architectural Press is a fabulous collection of different types of maps. This radio segment features several of the artist’s featured in the book including Karey Kessler and Leo Berk. Tony Angell noted artist has a new book published by the University of Washington called Puget Sound Through an Artist’s Eye, with a forward by Ivan Doig. This radio segment takes you into his studio and introduces you to his wife Lee and their two daughters too—great fun. Two shows out of San Francisco’s KQED‘s program The Forum worth listening to are Francine Prose talking about her new book Anne Frank: The Book, The Life, The Afterlife and Raj Patel speaking about his book about the ecologic ties to our economy in his book The Value of Nothing.